Posted in: USTA, WTA. Tagged: Butler Cars, Classic, georgia, Macon, Pro Circuit, qualifying, tennis, usta, wta. MACON, Georgia, (October 6, 2013)– Summer temperatures greeted players on the first day of the 2013 ButlerCars.com Tennis Classic of Macon presented by The W.L. Amos Foundation. With humidity in the air and blue skies up above qualifying 32 qualifying matches kicked off tournament play at Stratford Academy’s Jaime Kaplan Tennis Center. 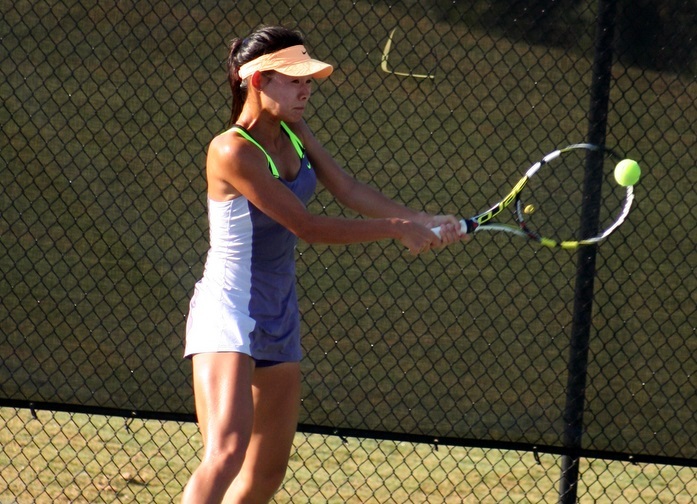 Top seeded Di Zhao of China found tough going, but defeated young American Kristin Wiley 6-1, 5-7, 6-2. 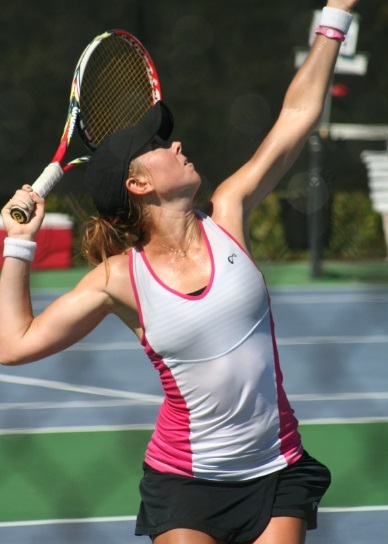 Former Florida All-American Lauren Embree defeated Kayla Symone Price 6-0, 6-2. The player with possibly the largest rooting section was Natalie Pluskota of Sharpsburg, Georgia. The former Tennessee player had family and friends forming a row watching her in action, and they were able to see Natalie pull out a tough three-set win over Petra Januskova of Canada. Also of local interest, Macon junior Ariadna Riley fell in a tough two-set match 7-5, 7-5 to former Georgia Tech player Elizabeth Kilborn and Mercer University sophomore Danielle Jones defeated Jennifer Rink 6-3, 6-1 to advance to play on Monday. Mercer tennis coach and tournament director Eric Hayes was thrilled with the the quality of play and the fan turnout. Tickets are available at the gate at Stratford Academy. Brooke BRODA (USA) Mary WEATHERHOLT (USA)  WSQ 6-5 Ret.